I arrive at my 13th review with great pleasure knowing that I will be talking about my favorite film of my IMDB challenge as of today: Cinema Paradiso. Released in 1988 and directed by Giuseppe Tornatore, this Italian film is a wonderful story that celebrates the magic of cinema with comedy, romance and a bit of drama. It starts in Rome where a successful man named Salvatore learns about the death of a chilhood friend: Alfredo. Quickly, we are taken a few decades back to Sicily where a young altar boy lives with his war-widowed mother in a modest home in a little southern Italian town. The boy’s curiosity takes him to sneak inside the church after hours to watch movies before the town’s father censors them. The boy sticks his head in between two large red curtains and tries to contain his laughter everytime father Adolfio rings a bell to scenes with kissing. Young Salvatore also enjoyed sneaking into the projection booth where Alfredo, the projectionist, spends most of his time editing big rolls of film to meet the obstinate censorship of the father. Alfredo is, at first, annoyed by the boy, insisting on the dangers of the projection booth as old rolls of film were highly flammable (a very important detail the film pays attention to). As the film progresses, fire seems to play a big role. First, Salvatore’s modest house is almost consumed by flames due to the large stack of film the boy had collected from all the kissing scenes that had been censored and discarded. Later, Alfredo and Salvatore relationship grows fonder after a fire that destroyed the old cinema paradiso nearly killed them. It is only after this sequence that the film starts gaining a particular significance as more than a coming-of-age story. Alfredo suffers a permanent injury in the fire and becomes a kind of tragic backdrop to the innocence and youthful spirit of Salvatore. When the cinema is rebuilt with the help of astute politicians, the role of the projectionist is given to Salvatore. This is the first of several clues the film leaves to show the potential of Salvatore, who at a young age, was already the caretaker of the town’s main source of entertainment. As the young boy grows older, we’re treated with magical moments that enrich the movie and make the town alive with characters that remain more or less unchanged in time, acting as placeholders that inform Salvatore’s memory of childhood. Night after night, Salvatore projects films, and the town gathers to enjoy movies of all kinds. Cinema Paradiso includes a significant array of clips from mostly American and European classics in black and white, one of the many homages to the history of cinema scattered throughout the movie. 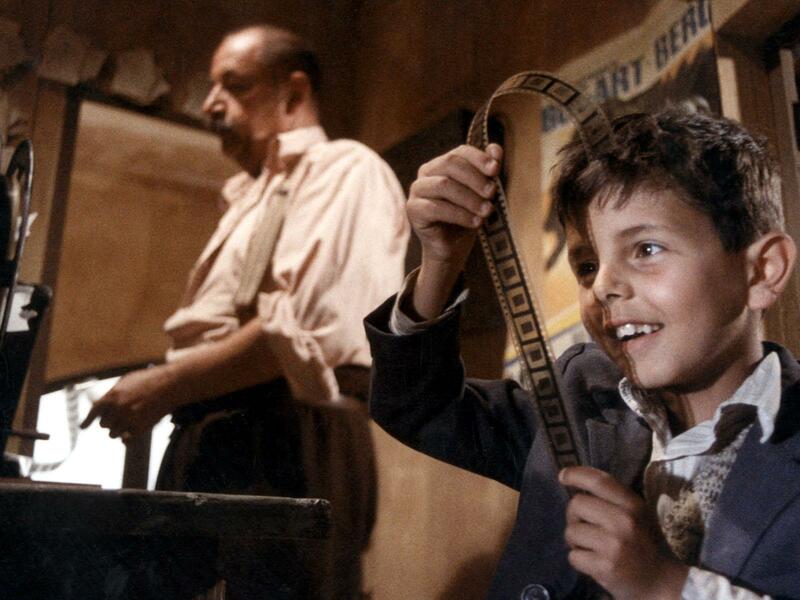 In Cinema Paradiso, watching films is treated as the socio-cultural activity that it was a few decades ago. It is not only a tribute to the power of film, but also a nostalgic look at the past, when going to the movie theatre meant a whole lot more than it does today. Cinema Paradiso also touches upon romance to give teen Salvatore more appeal as a character. However, there is hardly anything about his first love that speaks of realism. Salvatore’s quest for the affection of a girl is treated as an homage to classic Hollywoodesque love stories and the famed Italian romanticism that has always permeated the culture of the Peninsula. Salvatore’s failed love story also serves as a cathalist for his exit from Sicily. In his depression, Salvatore finds comfort and wisdom in his friend Alfredo, who had grown to cherish the kid as his own. This was no longer a simple brotherly friendship. Alfredo turned into Salvatore’s confidant and mentor, and in return, Salvatore became Alfredo’s purpose in life and his gift to the world. Alfredo took it upon himself to make sure Salvatore was the man any of the town’s folk could never hope to be. His advice: leave Sicily and never look back. Once the film reaches this point, we’re back at where we started, having left behind a wonderful coming-of-age full of comedy to replace it with a highly emotional ending that moved me to the brink of tears. It wasn’t sappy, it wasn’t expected, the storyarch simply closed itself superbly, leaving no room for anything more or less. 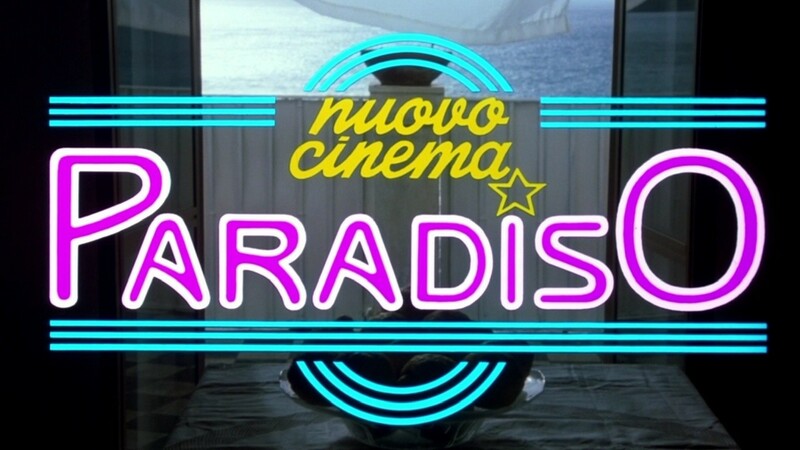 Since watching Cinema Paradiso, I have read a few reviews about the film. Most are favorable and a few are not. Those that criticize the film tend to say they wanted less grandeur and theatrical moments, often citing that the film uses common shortcuts to make its point across. While there is some truth to it, Cinema Paradiso was as consistent as they come in its delivery, at no point did it become lost in its own ways. The film tries and succeeds in making us fall in love with his grand story and with the magic of film. It does not try to be anything less than theatrical, which is in a way, the expected outcome for an Italian film that wants you to fall in love with it as you easily could for Italian culture. Arguably I could say the same in this case: make no small modest movie, for it would not have enough power to bring me (and you) to the brink of tears. An excellent review that sums up many of my films about Cinema Paradiso. It is the film for every cinema lover and truly captures the awe-inspiring beauty of film with a fascinating, moving and tragic story. One of the all-time greats.